Is Proteata flower shedding petals? Is Poppy flower shedding petals? Hmm, I'm not clear on your question. 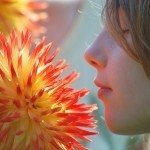 I'm listing links with information on the flowers you have mentioned.